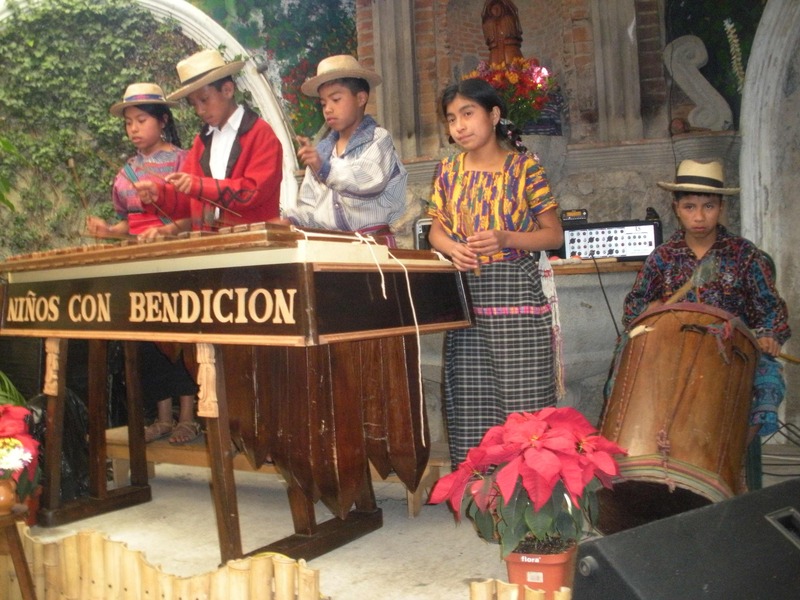 Niños con Bendición is a group of 16 children ages 6-13 who perform folk dances before various audiences to raise money for scholarships for their schooling and to help cover daily living expenses. 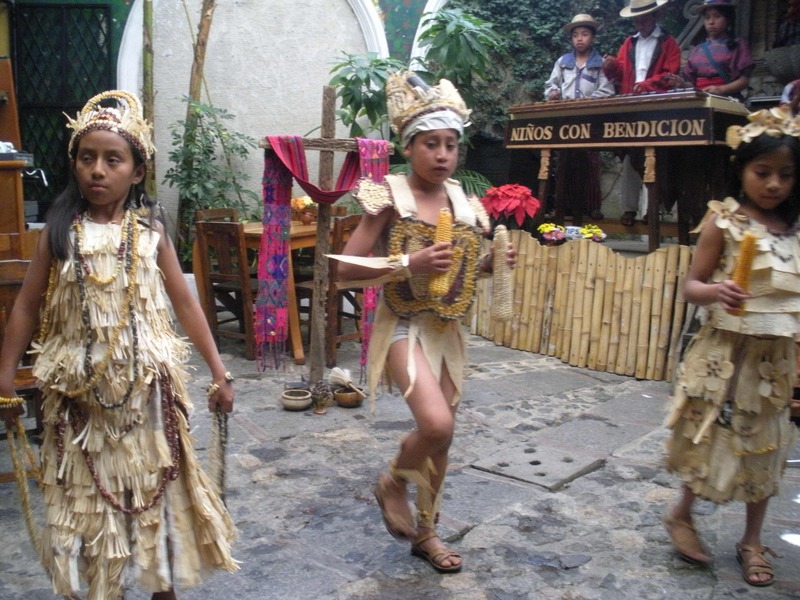 Dressed in traditional traje from various Guatemala communities, the children enchanted patrons Saturday, Dec. 11, at La Peña del Sol Latino, 5a calle poniente #15-C in La Antigua. 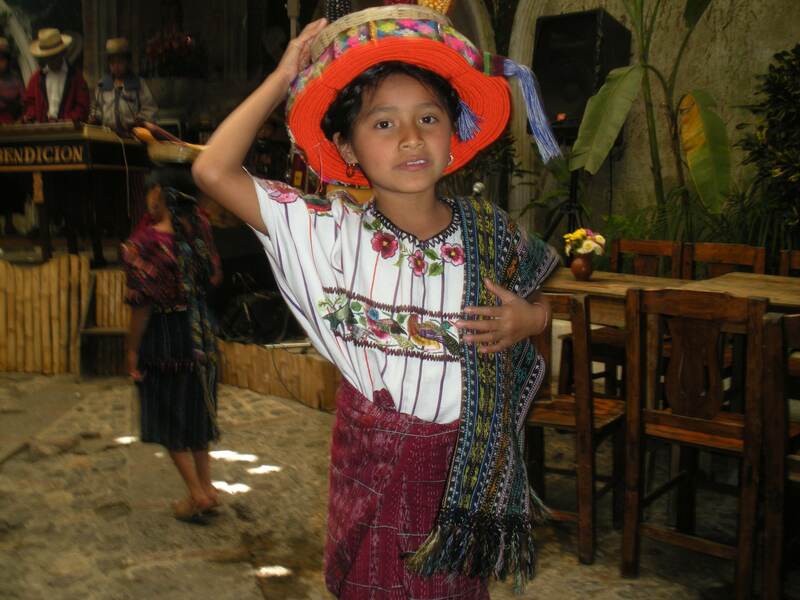 The group was founded in 2004 to give children in the village of San Antonio Aguas Calientes a way to attend school while maintaining their cultural roots. 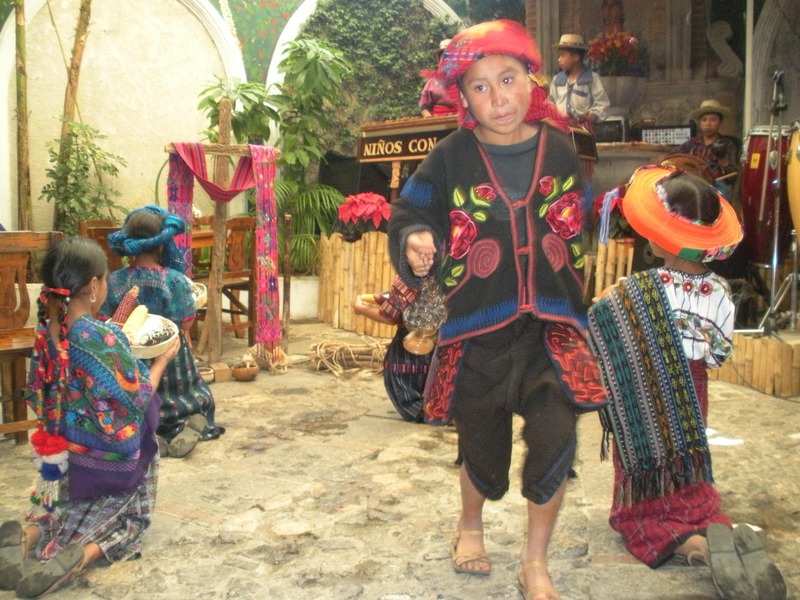 Lesbi Chavez had the idea to choreograph short dances and use the presentation to maintain the children’s cultural roots while having something tangible to generate funds. I was looking for a meaningful activity for a large annual group of (different) families traveling and sat down with Lesbi to formalize her idea into an actual activity. The presentation for my group in June of 2005 was their first experience in front of a large audience. The original idea we worked with was to find each child a sponsor for their education, then that child would leave the group (with the sponsor) and another child would join the group. What Lesbi and I did not anticipate was that the group quickly became a “surrogate family” for many of the children, and for them to leave the group was not an option. Lesbi literally opens her home for the children to come to whenever they want to play, hang out, do homework, need school supplies, use a computer, etc. The children are together six days a week. 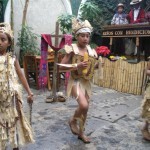 In the beginning, the children danced to a cassette recording of marimba music. 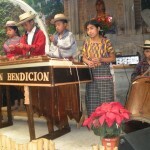 The group has since purchased a used marimba, and the children have taught themselves how to play with the occasional assistance of a music teacher (part paid, part donated time). They also have a drum, and Tino — Lesbi’s husband, a carpenter — made a couple of simple flutes as well. 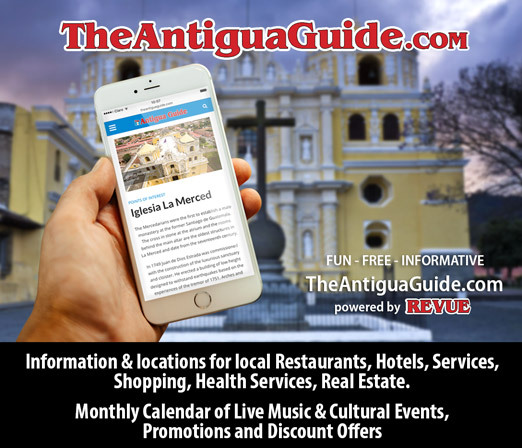 Once a month, La Peña del Sol Latino in Antigua hosts the group to perform for the general public. 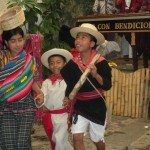 Restaurant patrons enjoy the performances and make donations to support the children. 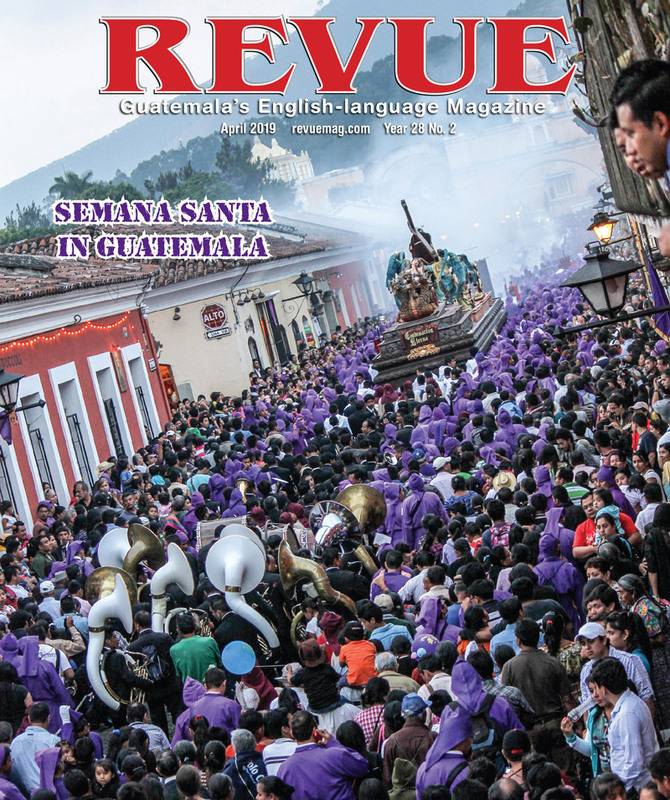 Occasionally, the group receives an offer to perform somewhere near Antigua or in Guatemala City. 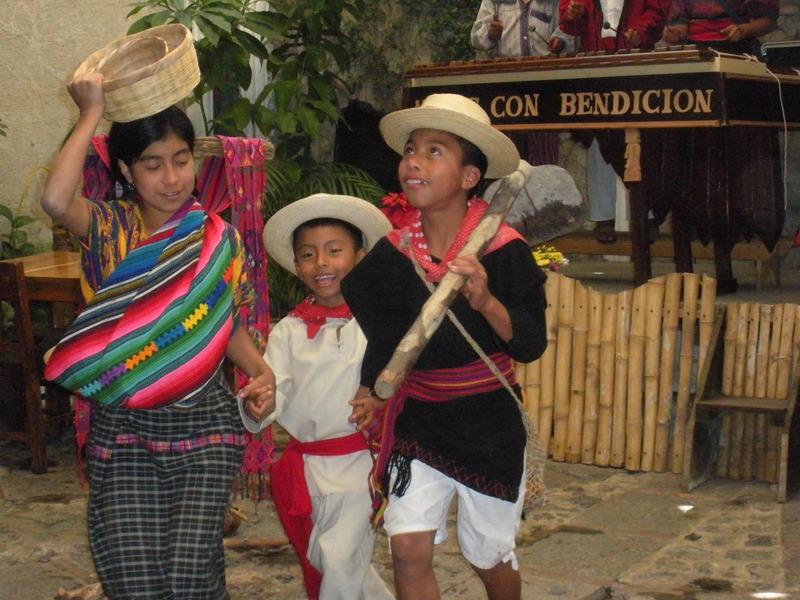 Aside from that, Lesbi depends on me or others who know of the group to send folks to her home in San Antonio Aguas Calientes where the children perform. 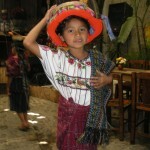 Those attending have the incredible opportunity to make tortillas and hang out / play with the children. Sponsorship is designed to be the same sponsor/child yearly, but with the world economy, there are sponsors who can no longer afford the $300 yearly cost. Every year I make sure we can get enough sponsors for each child so they can continue with their education. 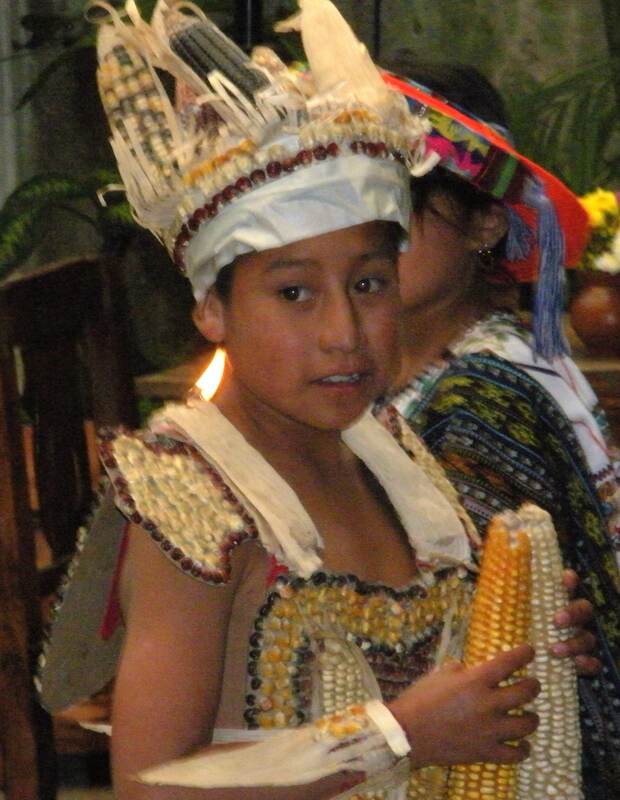 Donations and the calendar sales (this is our second year selling calendars at Q100 / $15 each) have also enabled Lesbi to serve the children a hot meal every day after school. Though there are still many other needs and unplanned expenses, we are thankful for the generosity of our donors. And the children’s parents are especially appreciative. Wonderful program! 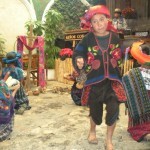 My kids and the adults in our group loved watching the children dance, playing soccer and eating tortillas! Thanks Nancy for arranging our trip. Lesbi and Nancy, you are truly making a difference in the world! 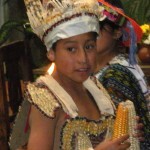 The children involved in Ninos con Bendicion are a gift to each other and to all who have the opportunity to meet them!